I am so looking forward to writing this post, I am going to be sharing with you some amazing products i have been using this month. I can not wait to show you what I got!! For hair I have been really careful with what products I use lately, I have mentioned on my blog and my Youtube videos that I have super damaged hair. 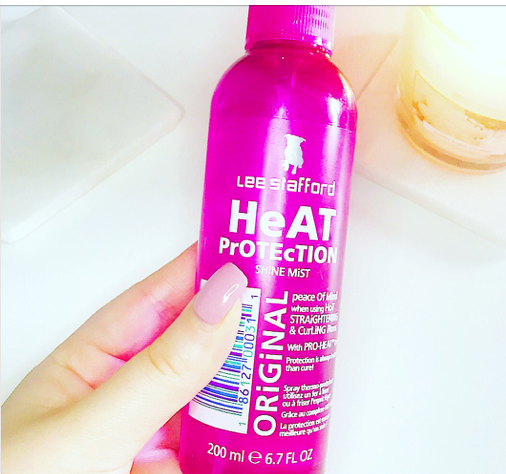 Well I have been making sure to use a heat protectant on my hair every time I blow dry, straighten or curl. This is amazing it makes your hair really shiny as well. It really looks after your hair as well as adding shine to it, I have noticed a big difference since I have been using it. I’ve always had really dry ends but lately after styling my hair it looks great. Next for hair I m obsessed with this Batiste dry shampoo. 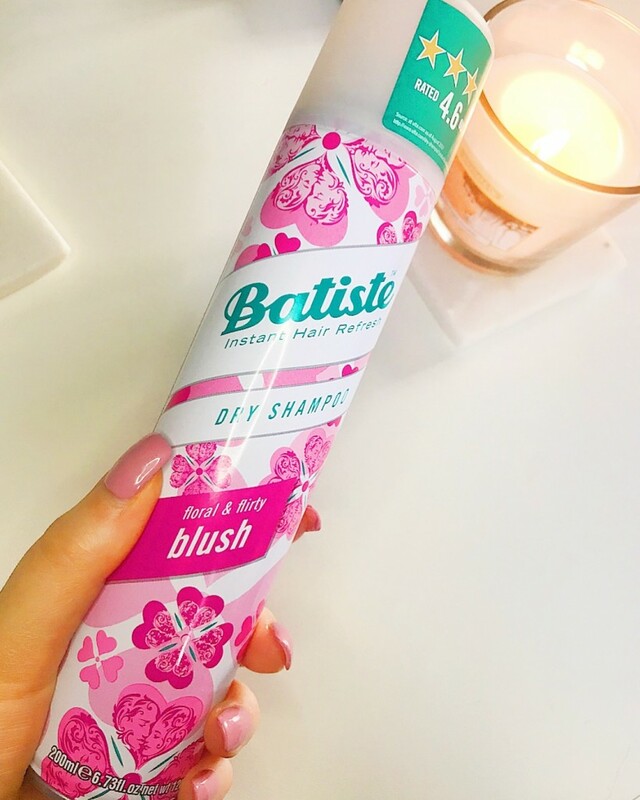 This dry shampoo is definitely up there with my favourites, I always use Batiste regardless. I don’t think I have ever used a different brand for dry shampoo. This one is the blush floral and flirty and I am obsessed. It smells gorgeous! The last thing for her is something i HAVE to share with you, I feel like this shampoo and conditioner was made for my specific hair. It is for oily roots and dry ends and that’s my hair in a nut shell. It is called the extraordinary clay shampoo. This has worked wonders for my hair so far. 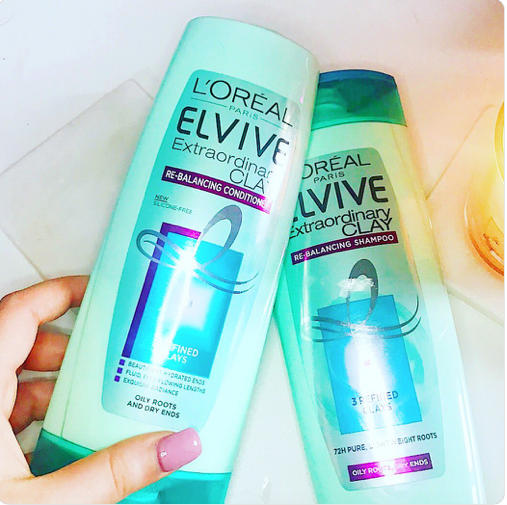 It’s not like a major smelly shampoo like some others but it makes my hair less dry which is great, shiny which is even better and I haven’t had to wash it so often because it seems to last a while. Moving on to skin care, these are products I have to share with you. 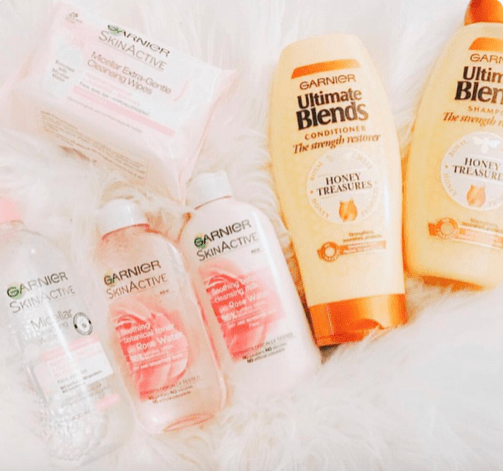 I have been using Garnier products for the longest time now, I trust them so much with every product, I believe in them I just know everything they bring out is going to be amazing. Here are a few skin care products that ive been loving. The garner wipes are so amazing. I have found them to be so gentle on my skin and really easy to take my makeup off. I then always go in with the Micellar water, botanical rose-water toner and sometimes instead of the micellar water i use the milk cleanser. All of these products are amazing! They are so gentle on your skin and completely takes your makeup off. I need to be tanned all year round, I feel more confident when I have a tan and I just look a lot better. 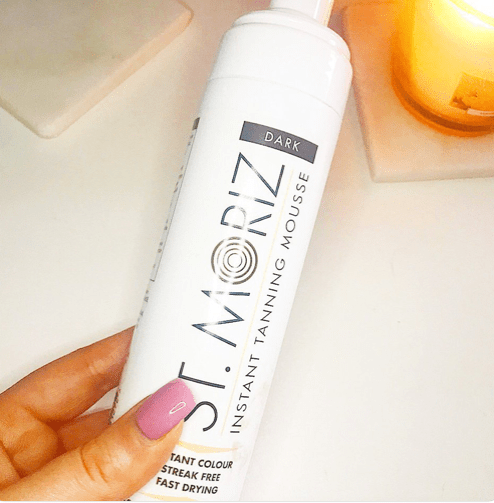 I have been loving this tan from St Moriz . I use this tanner all of the time, I have obviously tried others but I feel like this is the one for me. I love how easy this tan is to apply, I use a tanning mit that came with the self tan. It’s so easy to apply, it doesn’t leave any streaks, it doesn’t smell bad and it’s not majorly expensive. Also it gives you an instant glow but by the next morning your are golden brown. If you are looking for a self tanner that is easy to apply, no streaks and reasonably priced. This is the one guys! !